“It’s a war” as automakers fight for dominance in the high-profit HD market. 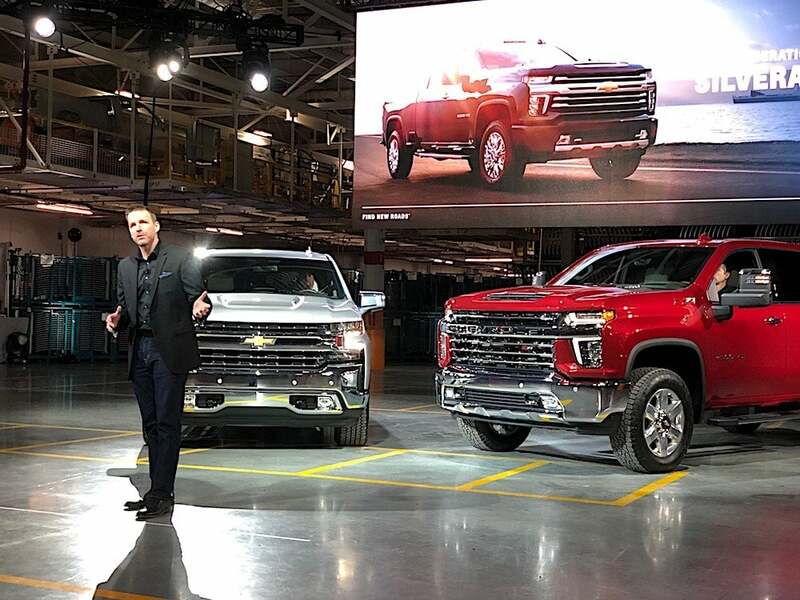 Lead Designer Rick Scheer unveils the new 2020 Chevy Silverado HD line-up at the Flint, Michigan-plant that builds the trucks. Chevrolet has become the latest in a string of brands to upgrade its entry into the booming, high-profit heavy-duty truck segment. 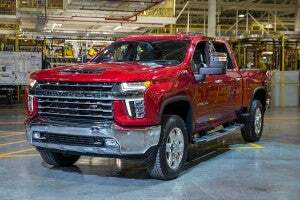 The 2020 Chevy Silverado HD made its official debut Tuesday at General Motors’ newly updated factory in Flint, Michigan. 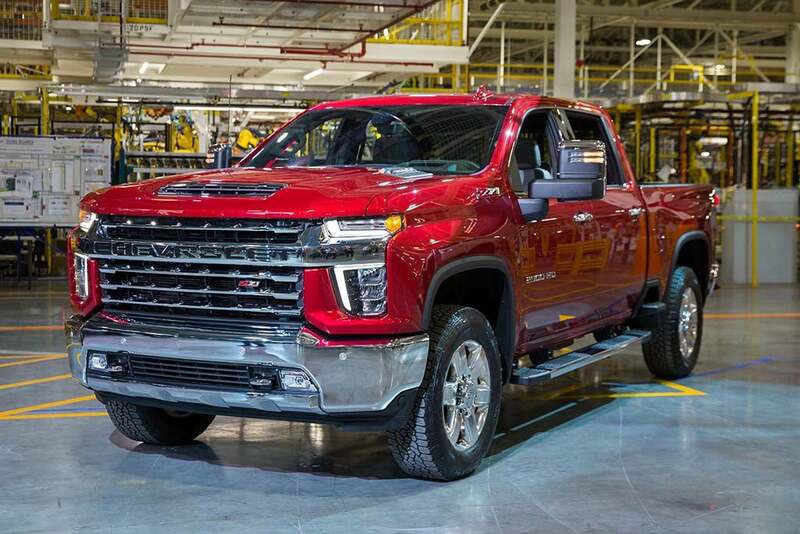 The oldest and longest continuously operated assembly plant in the GM network, the Flint factory underwent a $1.5 billion makeover to prepare for the launch of the new trucks. A sibling of the GMC Sierra HD, the Chevy truck completes General Motors’ decision to come to market with three distinctive full-size offerings, the familiar light-duty models, such as the Silverado 1500, a mid-size truck and the new full-size offerings. 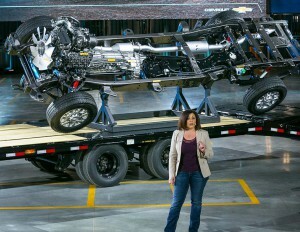 Chevrolet unveiled its full line-up of heavy-duty trucks at the Flint Assembly plant where the trucks are produced. GM currently has three plants producing full-size pickups, including the one in Flint that serves as the only outlet for heavy-duty models. Until now, production has been humming along at about 250,000 vehicles annually. The goal is to boost it by about 25% going forward, plant manager Michael Perez told TheDetroitBureau.com. That could allow GM to crack the 1 million mark for the first time, including both the Chevy and GMC brands, up from the 973,000 it rolled out in the U.S. in 2018. That was slightly ahead of Ford Motor Co.’s vaunted F-Series, which claims honors as the single best-selling nameplate in the U.S. auto industry, though Ford racked up 1.018 million sales last year worldwide. Chevrolet Silverado HD Lead Engineer Jaclyn McQuaid shows off the chassis of the 2020 Chevrolet Silverado Heavy Duty at its debut. Ford brought out its own heavy-duty offering, the Super Duty, two years ago, adopting the aluminum-intensive body first used for its light-duty F-150. The number two U.S. automaker made a point of announcing a major update to the Super Duty line on Tuesday morning, hoping to steal a little of Chevy’s thunder. Meanwhile, Fiat Chrysler Automobiles’ Ram brand is rolling out a new heavy-duty version as well this year. “It’s a war,” said George Peterson, head of consulting service AutoPacific Inc., adding that each of the automakers is “positioning itself” to steal sales away from one another. That said, full-size trucks, and particularly heavy-duty models, boast some of the highest loyalty levels in the industry, so it’s a challenge to shift buyers from one brand to another. Peterson added that full-size buyers also demand a lot from their trucks. That starts with towing capacity, with a sizable share of owners hauling boats, travel trailers and other towables. They also have begun to demand lots of high-tech and luxury features, though functionality remains critical. The Silverado 2500 HD High Country is the brand's move to offer next-level luxury interiors in trucks. The new Silverado HD is available with up to eight cameras, for example, which make it easier for drivers to see all around them, even when towing. There are 15 different viewing modes, including one called “Transparent Trailer” that lets the driver view the road behind as if the trailer were invisible. The new Chevrolet Silverado HD now covers a wider range of variants than ever before, including the High Country model that adds an assortment of upscale features not typically found on a truck. That reflects the fact that only a third of Chevy HD buyers use their truck commercially. Most are personal users, and many of those drive a truck instead of a luxury car because of the added utility. The High Country model is expected to push up into the $80,000 range when it comes to market, though GM hasn’t yet announced pricing. The top-line GMC Sierra, the Denali, nudges even higher. But Ford could finally break the $100,000 with the 2020 update of its Super Duty. It currently falls just short of the six-figure market while still marking the highest price ever for a factory-built, full-size pickup. This entry was posted on Tuesday, February 5th, 2019 at and is filed under Automakers, Automobiles, Business, Chevrolet, Earnings, Executives, GM, Luxury Vehicles, Markets, Personalities, Pickups, Sales, Sales, Trends, U.S./North America. You can follow any responses to this entry through the RSS 2.0 feed. Both comments and pings are currently closed.